Ørnesvingen or the Eagle’s Bend is the name of the steepest stretch of road that runs up the mountainside from Geiranger towards Eidsdal on route 63. The road twists and turns through 11 hairpin bends from Geirangerfjorden up to the highest point 620 metres above sea level at Korsmyra. 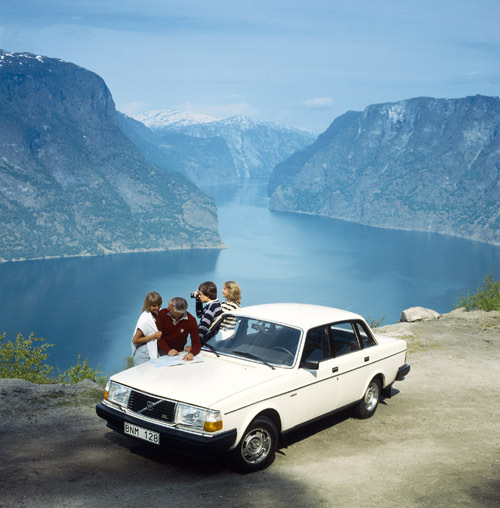 The Eagle’s road was officially opened on 15 September 1955 and provided the village of Geiranger with a year-round road link. It became a tourist attraction from the very first day, and acquired its name because at the top it ran through an area traditionally associated with high numbers of eagles. The name also suggests something wild and spectacular and, if you drive along this road, that is exactly what you will experience, especially if you stop at the Eagle’s bend, which is the uppermost hairpin bend. 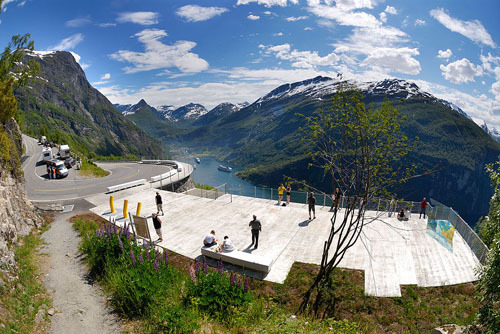 It is possible to park here and make the most of the huge view over Geiranger, Geirangerfjorden with its numerous cruise ships, De syv søstrene waterfalls and the mountain farm of Knivsflå. As part of the “Nasjonale turistveier” project run by the Norwegian Public Roads Administration, the lookout point at Ørnesvingen has recently been upgraded and was opened at a simple ceremony on 21 June 2006. At its steepest, the Eagle’s road has a gradient of 10%, which can be a challenge for cars in winter. The road has also been used to test cars’ suitability for winter driving conditions. The maximum permitted length of cars/lorries is 15 metres. The Geirangerfjorden is a fjord in the Sunnmøre region of Møre og Romsdal county, Norway. It located entirely in Stranda Municipality. 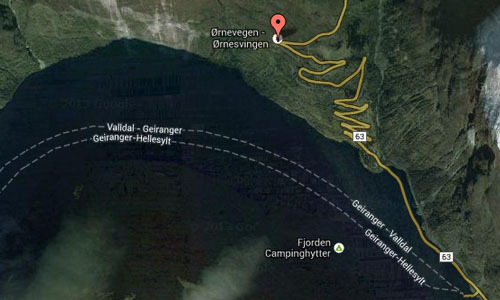 It is a 15-kilometer long branch off of the Sunnylvsfjorden, which is a branch off of the Storfjorden (Great Fjord). 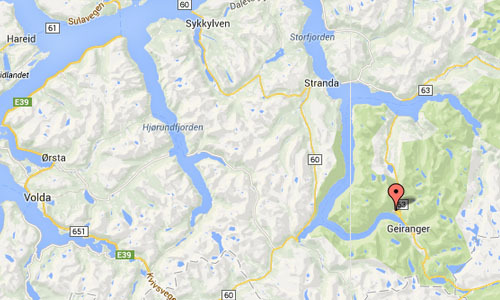 The small village of Geiranger is located at the end of the fjord where the Geirangelva river empties into it. The fjord is one of Norway’s most visited tourist sites. In 2005, it was listed as a UNESCO World Heritage Site, jointly with the Nærøyfjorden, although this status is now threatened by the disputed plans to build power lines across the fjord. A car ferry, which doubles as a sightseeing trip, is operated by Fjord1 Nordvestlandske. 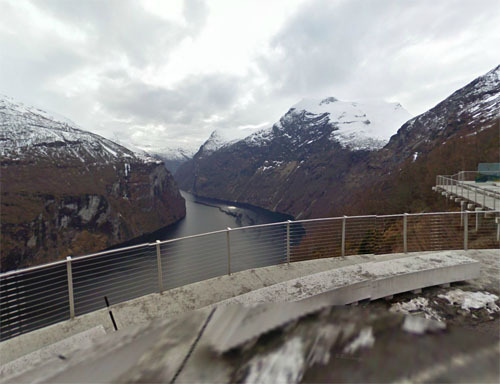 It runs lengthwise along the fjord between the small towns of Geiranger and Hellesylt. Along the fjord’s sides there lie a number of now-abandoned farms. Some restoration has been made by the Storfjordens venner association. The most commonly visited among these are Skageflå, Knivsflå, and Blomberg. Skageflå may also be reached on foot from Geiranger, while the others require a boat excursion. The fjord is also host to several impressive waterfalls such as the Seven Sisters waterfall. More information on en.wikipedia.org, www.visitnorway.com and www.geiranger.no.